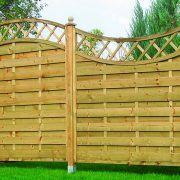 Durham Concave or Convex Fencing Panel available. 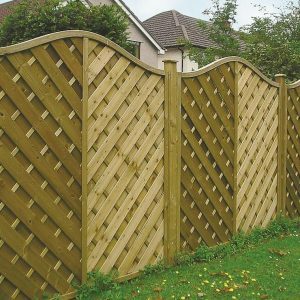 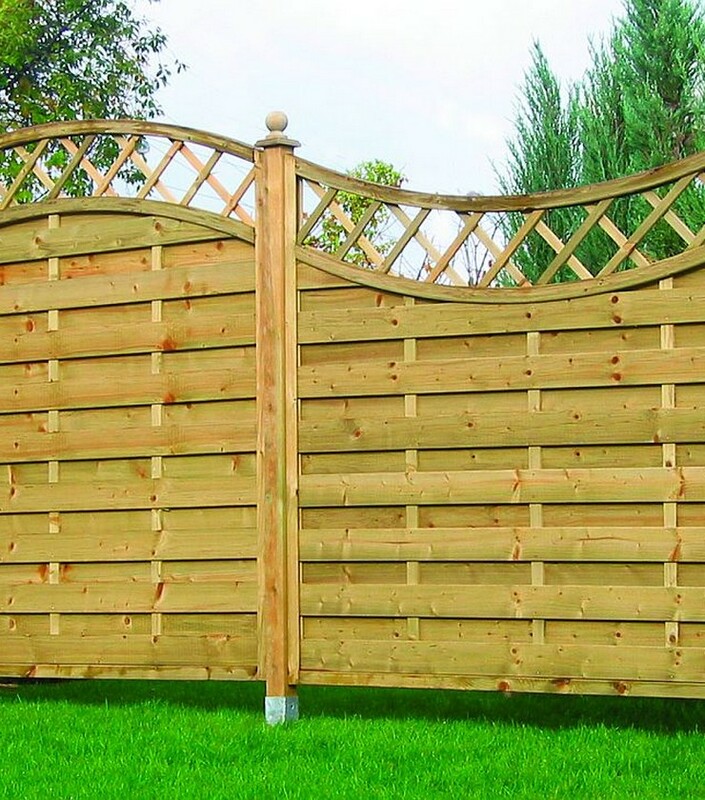 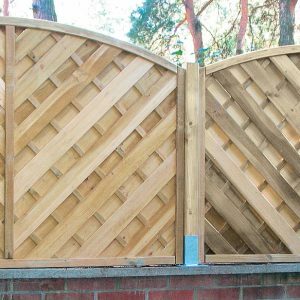 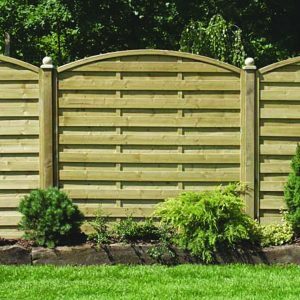 These fence panels have a horizontal board-on-board pattern with a beautifully curved trellis top. 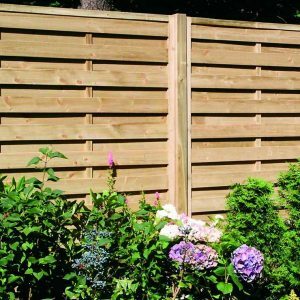 Manufactured from FSC approved pressure treated Northern European Redwood.